Real Health Care for All! PNHP Illinois (formerly Health Care for All Illinois) works with the national organization and with our allies throughout the state to enact Expanded and Improved Medicare for All, guaranteeing equal access to comprehensive quality health care for every person in Illinois. 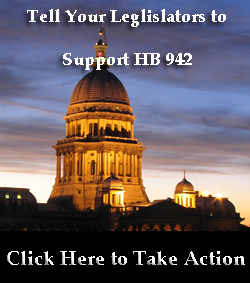 Click here to sign up for PNHP Illinois updates! Comprehensive, universal health care for all Illinoisans doesn't need to mean higher taxes and more spending. This study from HCAI shows that nearly $18 billion of Illinois current health spending is diverted to useless administrative tasks inherent in a for-profit private insurance-based health system. Illinois can recover that $18 billion and use it to provide universal care - but only if we're willing to cut out the parasitic private insurance industry. How Can We Afford Universal Health Care? With a looming $2 billion deficit in the state budget, how in the world can Illinois afford a single payer universal health care system? The answer - confirmed by the state's own independent financial consulting firm - is that the system pays for itself. By removing $17 billion in wasteful private insurance paperwork, Illinois' single payer system would provide comprehensive, universal coverage without raising Illinoisans health spending. In fact, for the majority of Illinois families and businesses, the single-payer program would be a tax cut. This HCAI financing paper explains the program in detail. 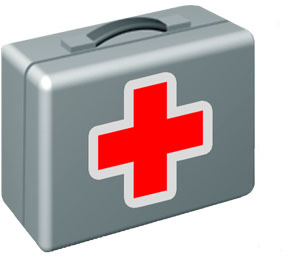 For more information on single-payer organizing in IL, check out the web site of the Illinois Single-Payer Coalition. 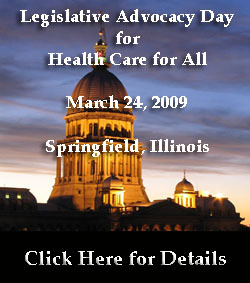 Click here for upcoming single-payer events in Illinois. 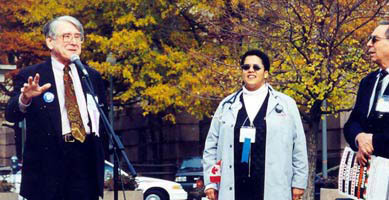 PNHP Illinois supports Occupy Wall Street and all Illinois Occupy movements. In November 2011 the leadership of PNHP IL adopted the following statement of support for Occupy Wall Street and all Occupy movements in IL. Illinoisans already pay enough for comprehensive universal health insurance - we just don't get it. This is becasue private insurers and the administrative waste they generate consumes nearly a third of our health spending. Replacing insurance companies with a single public payer would save Illinois more than $17 billion per year, enough to cover everyone. Single payer bill HB 942 ("The Illinois Universal Health Care Act," formerly "The Health Care for All Illinois Act") would do this. 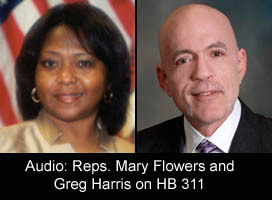 Single payer bill HB 942 ("The Health Care for Alll Illinois Act") Sponsors Rep. Mary Flowers and Rep. Greg Harris are interviewed by Cat Jarboe.